I have been not so patiently waiting for this Glossybox to finally arrive. I saw the spoilers online, and at first look I was disappointed. Most of the products in other people's boxes were just not for me. But I think the product variations I received in my box are perfect for me! Glossybox is sent via USPS, and this box arrived in 6 days. I was lucky enough to receive my January box fairly early compared to a lot of people, but even though I don't mind this box arriving near the end of the month, I wish it would actually arrive in the month it was billed for. It seems silly that this month's theme is "The month of Love" when boxes don't even get shipped until way after Valentine's Day. If you're going to go with a theme, go for one that won't be date specific. 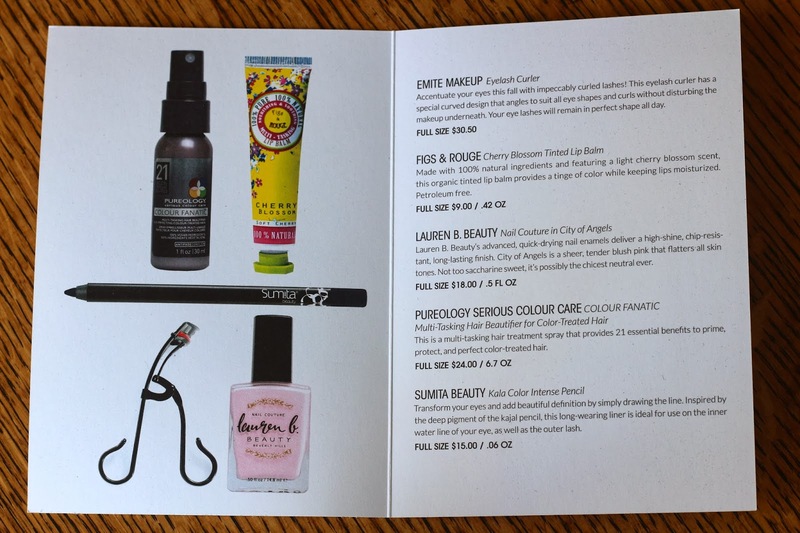 Info card included in my February Glossybox. 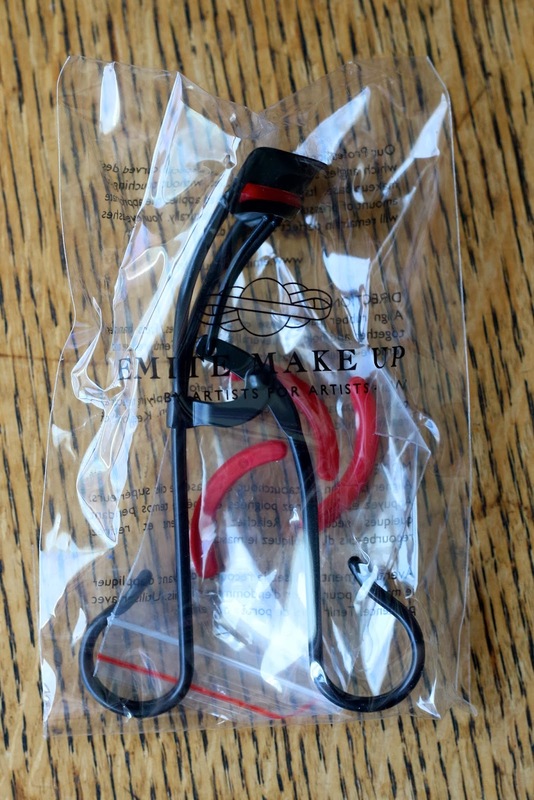 Emite Makeup Eyelash Curler - ($31) When I looked at my box online, and saw I would be getting this I was pretty excited, because I don't have an eyelash curler! I have too much nail polish, hot pink lip gloss, and eyeliner, but luckily I don't have this. And a $31 value! I think I lucked out. Figs & Rouge Tinted Lip Balm in Cherry Blossom - ($9) I was crossing my fingers I got this in my box when I saw some people received it in their box. I can never have enough chapstick, lip balm, etc. And it looks like this is a very subtle pink tint, which I need more subtle lip balm in my life. I have too many heavily pigmented lip products to know what to do with. Lauren B. Beauty Nail Polish in City of Angels - ($18) While I wasn't too excited for this color, because I got a similar one in my February Ipsy bag, I think this color is a little lighter than my Zoya Dot color, and I've been all over pale colors for spring. I'll definitely give this a shot! Pureology Serious Colour Care Colour Fanatic - ($3.50) This was the one item in my box that doesn't match my profile at all, I don't have colored hair. I'm handing it off to my mom. Sumita Beauty Kala Contrast Pencil - ($15) I have a bunch of eyeliner already, so I wouldn't say this is perfect, but I'll give it a try and maybe I'll end up loving it! I hear it's better for using on your water line, which I like doing. I paid $21 for this month's box and received about $76.50 worth of product! After last month's amazing box, I don't know how Glossybox could possibly top it. But I think with how much value was in this month's box, they definitely did. I'm glad the variant products this month were just right for me. Glossybox is $21 for a Monthly Subscription and if you'd like to subscribe to get the items you see above in your February box, you can get a Free Fresh face cream with any new subscription just use code GBFRESH . 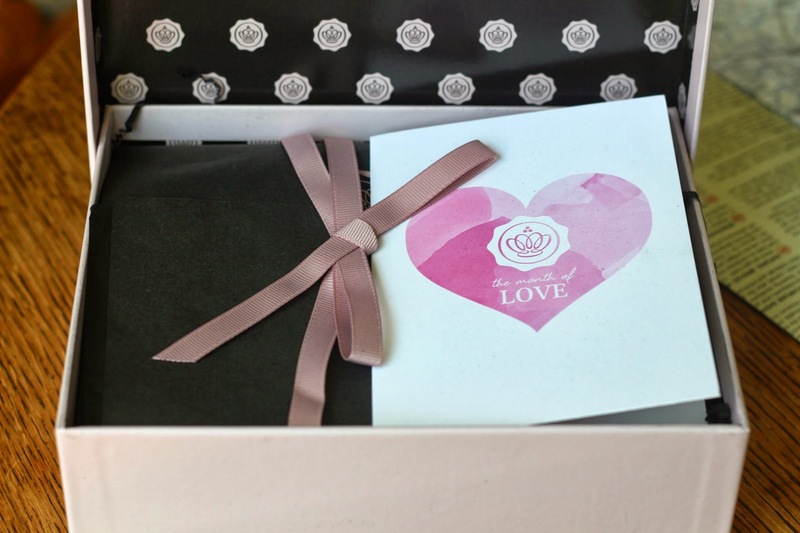 What do you think of the February Glossybox? 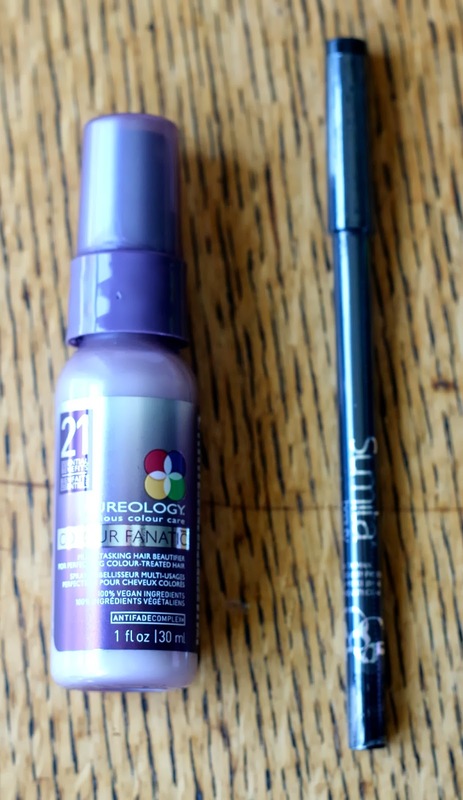 Which products did you receive?